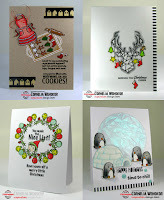 This has been a fun time at Muse: ChristmasVisions 83 to create four cards from Cornelia's impressive array of inspirational cards. The wreath was created by very lightly drawing a couple of circles then filling in the space with red and green snowflakes, yellow stars and a few green sprigs. A bow in a light green shade painted with a coat of clear WOS and small clear gems add interest to the wreath. The sentiment is stamped in a darker shade of green. 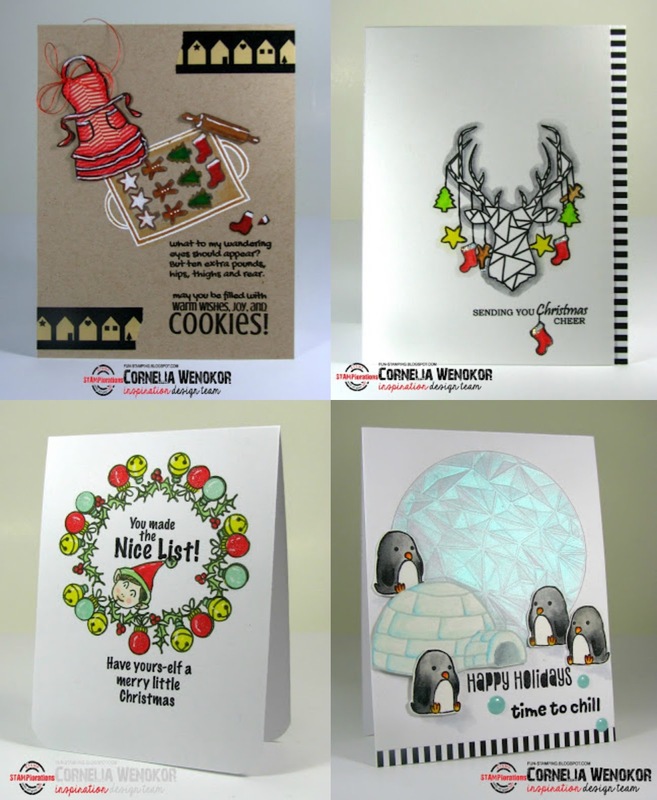 Yeahh, you made it - 4 fabulous cards! And thanks for labeling them, make it much easier to keep track! So pretty, that delicate wreath! A very big thanks to you for playing along with me x4 at MCV, Marilyn! Love the fun feeling the stars give to your wreath, Marilyn! Well done - all 4 complete! Thanks so much for joining us at MCV!